Haggen, a grocery store chain out of the Pacific Northwest, is set to takeover 146 Albertsons and Safeway stores in California, Nevada and Arizona, 20 of which are located in the Tri-Counties. Next time you head to your local grocery store, the name on the outside might be different, along with displays, but don’t expect too much to change. The area stores Haggen is taking over are a small part of a larger antitrust deal between Albertsons and Safeway and the FTC that will allow the two company’s $9.2 billion merger. When the deal is complete, Haggen will expand its operations by almost 10 times, increasing its number of employees by about 8,000 and boosting its annual sales volume from $4.2 million to nearly $3.7 billion. The general plan, Clougher said, is to have as little disruption as possible through the transition, keeping relatively the same product mix and maintaining current services. While Haggen wanted to grow, the expansion deal was put forward by the equity group that owns a majority stake in the grocer, Comvest Partners. Headquartered in West Palm Beach, Florida, Comvest claims its assets under management are valued at about $1.3 billion. The firm offers debt and equity capital to middle-market companies in various industries across the the U.S.
Scott Moses, managing director of Sagent Advisors, which advised Haggen and is majority owned by the private equity firm Comvest Partners, told Supermarket News the motivation behind the deal was to make Haggen more competitive. The company’s new position also sets it up to acquire more smaller grocers going forward. A total of 18 stores are also being sold to three other operators in different states. From the perspective of Albertsons and Safeway, the deal was about making their merger work and not squeezing every dollar out of the stores, he said. 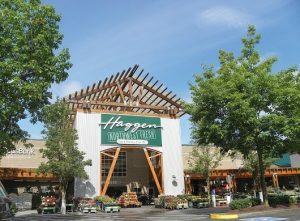 For Haggen, a big hurdle will be establishing its brand and community ties to the region, relying on stores’ current local management. Another big undertaking will be renegotiating the collective bargaining agreements with the stores’ unionized employees. Clougher said a majority of the stores in the acquisition are unionized, and the company plans to work with those employees to honor those agreements. According to a statement Haggen released when the acquisition was announced, all current Albertsons and Safeway employees will have the opportunity to continue working for Haggen in the changeover. In an interview with Supermarket News, Bill Shaner, a former Save-A-Lot executive hired as CEO of Haggen’s new Pacific Southwest division said the stores the Bellingham, Washington-based chain is acquiring are solid financially and have room to improve under the Haggen brand. The company has also said it will be investing in renovations at each of the stores to fit the Haggen model starting this year. Clougher said the specific plans and budgets will be on a store-by-store basis. “Haggen’s acquisition growth is another example of a decades-old regional grocer adding scale to combat an ever-rising tide of food retail competition from much larger, well-capitalized supercenters, club stores, natural-focused grocers, drugstores and dollar stores, as well as numerous online operators such as Amazon.com, Walmart.com, Target.com and Drugstore.com,” Moses told SN in an interview. The company compares itself to grocers like Wegmans, Harris Teeter Supermarkets and Mariano’s, which is owned by Roundy’s Supermarkets. The company has already established partnerships with two new distributors including Supervalu to support supply chain and back office operations. The company also plans to hire an additional 200 people in California, Nevada and Arizona to help with corporate marketing as well as local food manufacturing and buying.